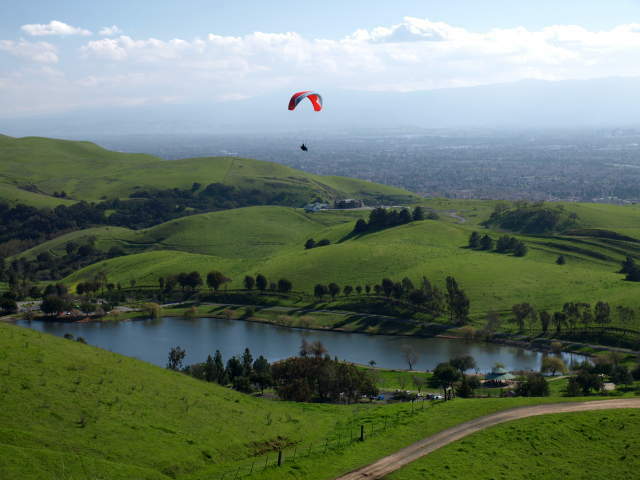 One of the largest park among 25 parks in milpitas is Ed Levin County Park . Park is spread in 1,541 acres. It is nice place for gaming such as softball fields, tennis courts, basketball courts, handball courts, bocce ball courts, volleyball standards, horseshoe units, par courses, and barbecuing are available here. . It is also a wonderful place to watch hang gliding .From the Monument Peak the San Francisco Bay and Santa Clara Valley area looks . In the park there are two parks sections . At Ed Levin one are is Dog Park. Where only Dog handlers and dogs are allowed to enter. Dogs must be under voice control of their handler and their own responsibilty. There are two lakes in Ed Levin County Park one of them is Sandy Wool Lake and second is Spring Valley Pond. which collect runoff water from the hills to the east. It makes the environment of park cool.In the Park Chart all information is written about the locations and facilities of park.